The new Balloon STAX Die-namics are simply fabulous! 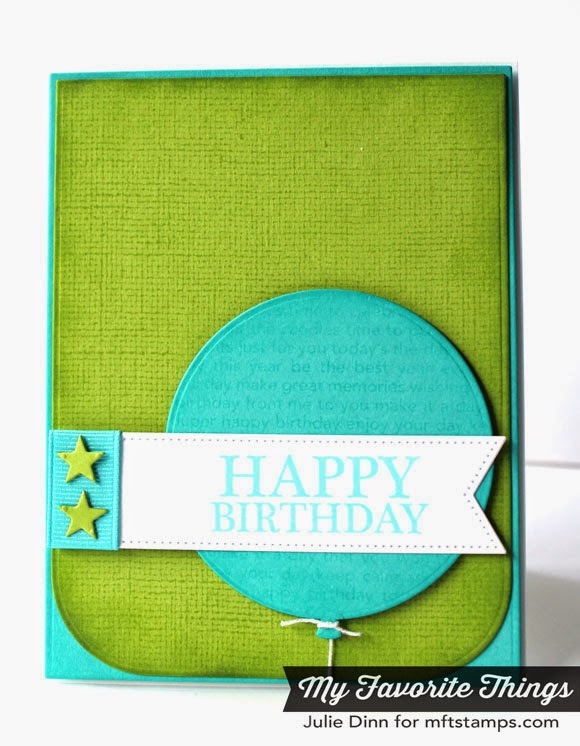 I used the large round shaped balloon on this card. 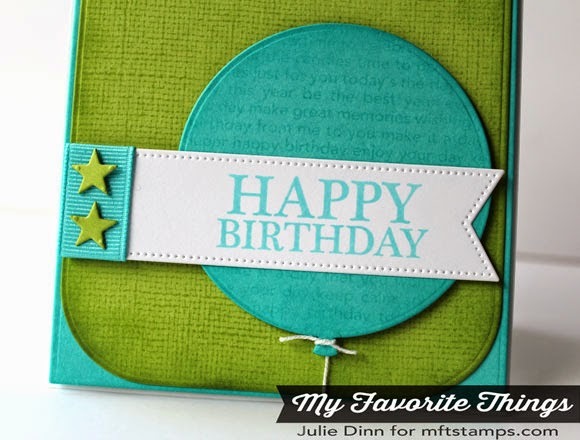 It was stamped with the Happy Birthday Background stamp. I stamped a sentiment from the new Celebrate You stamp set on a Pierced Fishtail Flag. 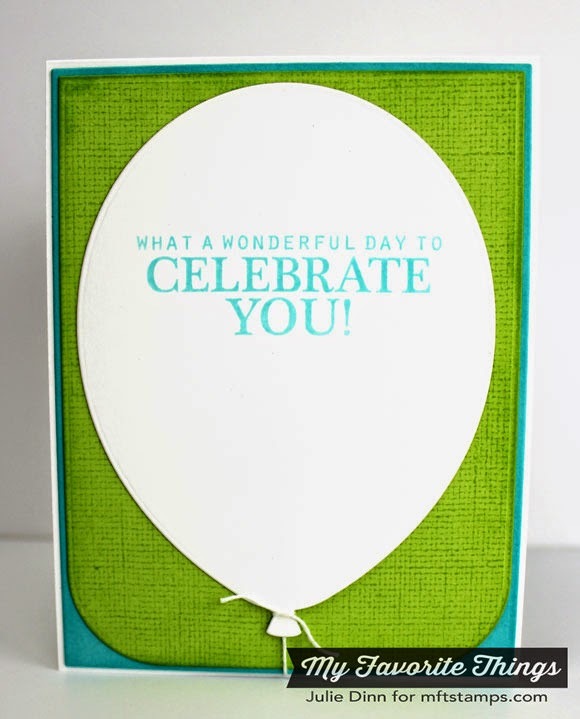 On the inside of the card, I used the largest balloon from the Balloon STAX Die-namics and another sentiment from the Celebrate You stamp set. Be sure to stop by the MFT Blog to enter your WSC sketch card. I love those balloon dies! 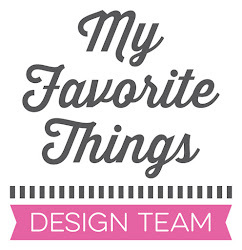 Adorable fun card! What a awesome card. Great Job!